Zach Townsend. Photo by Theresa Fernandez Photography. The mission of Dallas Chocolate Classes is to Educate, Enlighten, and Excite participants about all aspects of the world of chocolate through fun and informative chocolate classes and events. Hi, I'm Zachary R. Townsend. My story in chocolate began more than twenty-five years ago with my close relationship with Michel Jambon, founder of the European chocolate company Jeff de Bruges. Michel taught me a great deal about fine chocolate and how to appreciate various styles of chocolate making. Each time I traveled to Paris to visit his family, Michel would present me with a beautiful box of Jeff de Bruges chocolates. During my travels throughout France over the years, I developed my sense of style and tastes for refined European pastry making and became passionate about the craft of working with fine chocolate and baking. I have worked for restaurants and operated a private chocolate dessert catering business for many years. I also operate Townsend Language Services as a French to English translator of cookbooks. My goal is to make you EXCITED and EDUCATED about the fascinating world of chocolate--in more ways than you ever imagined! Teaching and watching others have fun learning about chocolate brings me a great deal of pleasure and is one of the most rewarding things I do. I hope to have the pleasure of meeting you soon in one of my fun chocolate classes. 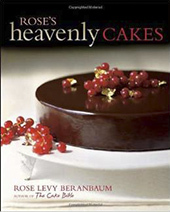 You can find Zach's recipes featured in the 2010 IACP Cookbook of the Year, Rose's Heavenly Cakes, by Rose Levy Beranbaum and in the 2015 baking book, Flavorful, by Tish Boyle. Zach has been a frequent contributing writer to Dessert Professional Magazine and a selected contributor to the New York Times microblog on the topic of cake. 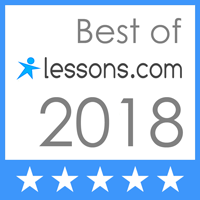 Zach is the translator of the English editions of eleven cookbooks, including Larousse on Cooking, Pierre Hermé Macaron, Maison Kayser’s French Pastry Workshop (semifinalist of the Gourmand World Cookbook Awards, and Let’s Eat France (voted top pick for 2018 by the New York Times Book Review, National Geographic, Real Simple, and the Houston Chronicle). His recipe translations have also appeared in Wine Enthusiast magazine as well as translation work for Weber Grill author Jamie Purviance for Le Chef Barbeque. Derek Poirier (Pastry Chef for Valrhona North America) & Zach Townsend (Pure Chocolate Desserts by Zach) teach chocolate. ◊ Member of the International Association of Culinary Professionals, the Fine Chocolate Industry Association, and the American Translators Association.